Pay attention to yourself! One of the first signs of mold could be health related symptoms before you even visibly locate the problem. An increase in allergy like symptoms, or those mentioned in Part I of this series, could be a telltale sign that mold is present. When mold is visible, it could present in many different textures and colors. Often mold resembles either a cottony, velvety, granular, or leathery appearance, sporting colors in varying shades of white, grey, black, brown, yellow, and/or green. Most importantly is that the most reliable sign of mold is that it resembles discoloration on the item in which it is growing. Signs of water damage or excessive moisture are perfect living conditions for mold, so places where water leaks, standing water, water stains, or condensation problems have occurred are typically places where mold can also be found. Mold isn’t always noticeably apparent; checking behind fixtures in your home such as wallpaper, carpeting, vinyl flooring, sinks, cabinets, furniture, and more can be the difference between finding mold and not. It isn’t necessarily easy to find and sometimes may require location measures that can damage. What can be done to remove and prevent mold? Keep surfaces as dry as possible, holding indoor humidity on the lower end to discourage moisture for which mold to grow. Maintain proper ventilation in the home to further these efforts. As soon as an object or area becomes wet, dry it as soon as possible. This is crucial to curbing the continued spread and growth of mold. Remove and dispose of anything porous that has been affected by mold infestation. Contaminated items that have absorbed moisture need to be put in a bag and thrown away. Items that serve risk of contamination could include sheetrock, plaster, carpeting, ceiling tiles, wood products, insulation, wood products, and paper products. Anything non-porous might be able to be saved if thoroughly cleaned and kept dry. As mold exposure should be limited when possible, there are ways to protect one’s self while eliminating mold from the surrounding environment. Mold particles become even more airborne when disturbed, so wearing proper eye wear, gloves, disposable clothing, and a N95 respirator mask aid in making sure further inhalation or spread of the mold doesn’t occur. Since mold can spread while the cleaning process is underway, keeping anything contaminated in plastic bags or sheets before transporting them throughout the home can help curb further growth in different areas. Placing fans in the work area to pull air outside the window can help eliminate mold spores from the area. When the moldy items or areas are cleaned, a thorough cleaning of the work area to eliminate settled spores is recommended. 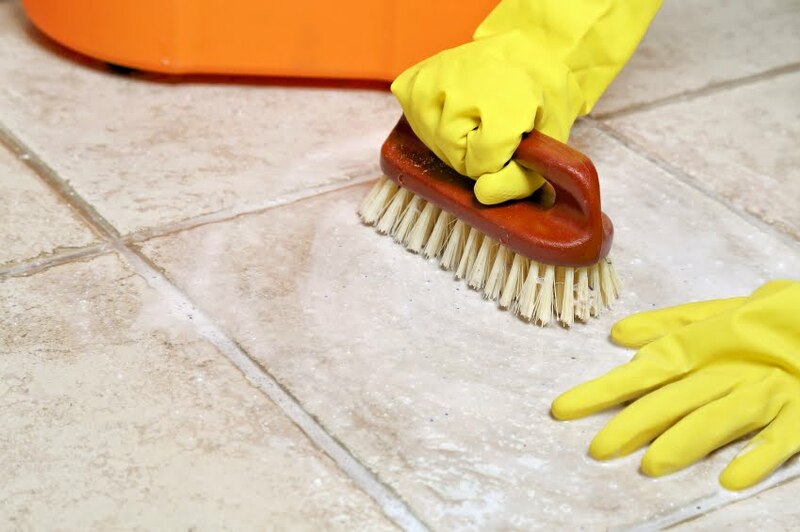 Cleaning mold usually involves a stiff brush, hot water, and a non-ammonia soap or detergent. Commercial cleaners can also be effective if they target the elimination of mold. Disinfecting previously contaminated surfaces is highly suggested, and can be done with bleach. Do not, however, mix the ammonia and bleach. This can create a toxic gas; make sure proper ventilation is in place for the cleaning and disinfecting processes. Once the mold is completely removed, one should still be on alert looking for recurrences. If mold does return, using a stronger solution for cleaning is recommended. This also could indicate that the item or area in question should merely be removed and disposed of, or that the moisture causing the mold is not yet under control. Want to find out more about what mold is and what effects it can have on your health? Check out Part I! Minnesota Department of Health. (2012). Mold in Homes. Retrieved from http://www.health.state.mn.us/divs/eh/indoorair/mold/.